By the age of 18, Rafael Jacinto Jofre had discovered his true passion in life: winemaking. Born in Mendoza, Argentina into a Spanish and Argentinean family, it only took a few months of shadowing a winemaker at Bodegas Norton in Argentina to spark an interest that would last a lifetime. Rafael started pursuing his passion by studying winemaking at Argentina's University Don Bosco, where he earned a Bachelor of Arts in oenology. By 2002, he had already worked for several wineries in South America, including Chandon Argentina, Nieto Senetiner and Vina Leyda in Chile. 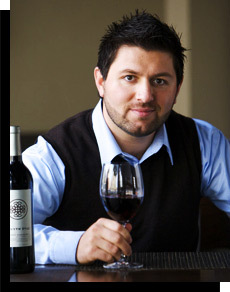 In 2004, Rafael decided to come to California and embark on the opportunity to be a winemaker at Canyon Road Winery, where he now focuses on crafting wine made with his passion, love, and care. He takes pride in following the grapes while growing on the vines, tasting them during ripening and evaluating their flavors until they are optimal. This ensures that the most expressive wines are crafted. California Table Wine, © Canyon Road Winery, Modesto, CA. USA All rights reserved.